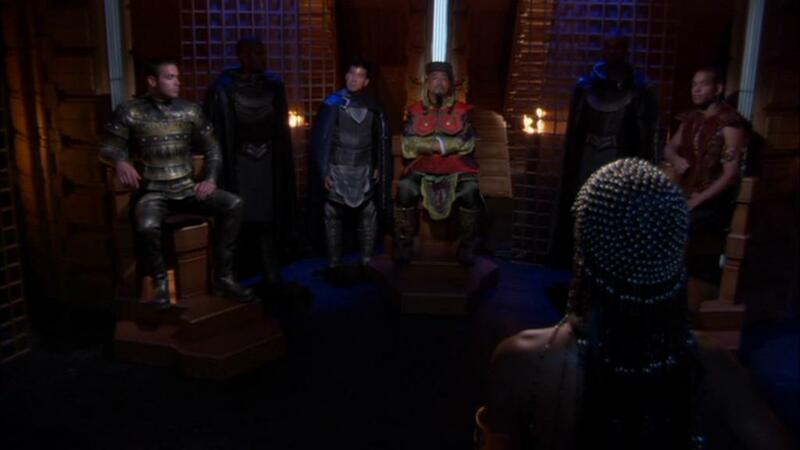 In Reckoning, Part 1 we meet the High Council of System Lords for the last time, as they are eliminated by the Replicators. Who were those two Goa'uld? The High Lords that were at the council were Lord Yu (insert joke here), Ba'al, Svarog, Olokun, Kali, Bastet and Morrigan as well as Osiris, representing Anubis. 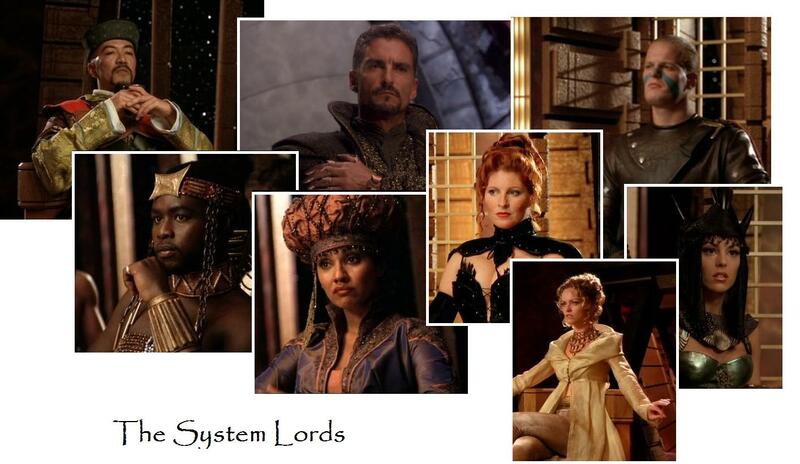 In addition to the High Lords are a host of lesser System Lords. The two Goa'uld that you've pictured don't appear to be named in the script nor the official cast/crew listings. They're just 'unnamed extras' brought in as set furniture. There are no end of minor lordlings that these two could be including Afa and Vritra, mentioned earlier in the show but never actually seen. Not the answer you're looking for? Browse other questions tagged stargate stargate-sg1 goauld or ask your own question. What happens to a Jaffa's Goa'uld once it matures? Why did the Tok'ra never create a Harcesis child among themselves? Why are only a tiny number of Goa'uld capable of spawning? Why would Goa'uld blood be both toxic and be able to neutralize itself?